1.Log into EQuIS Professional and into the database where you want the new facility. 2.Click Forms on the navigation ribbon to open the Forms window. 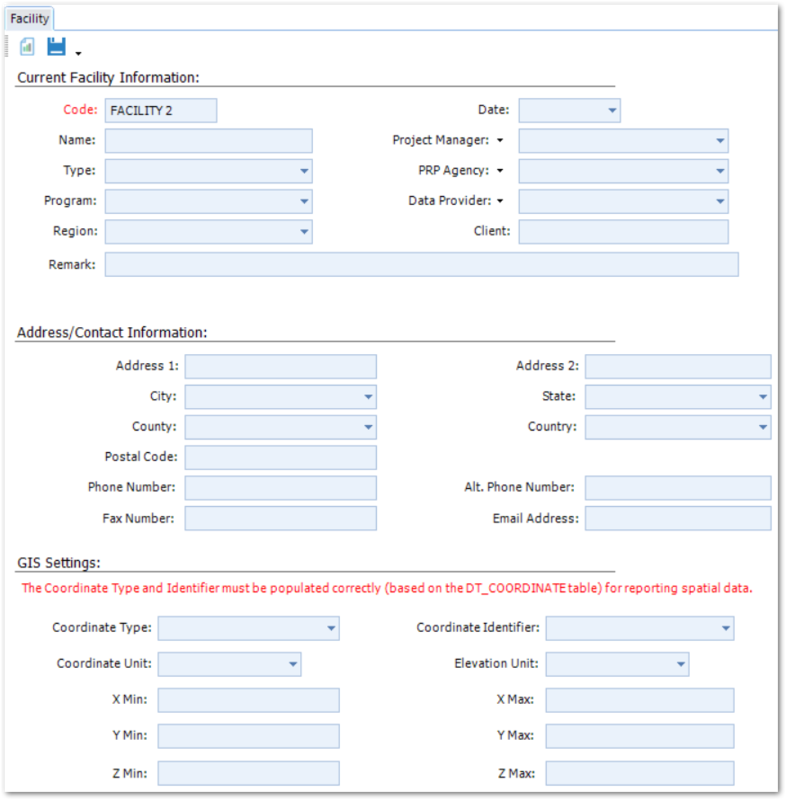 1.Within the Forms window, double-click on Facility. This will automatically default to the details about that particular facility. 2.Click the New button, which is to the left of the Save icon. 3.Fill in the details of the new facility. 6.Click Save to save the new facility. You can now log in to your new facility. Note: Required fields have been changed to red in the Facility Form. *These lists can be edited using the drop-down arrows next to the field name in the form. Fields in the form correspond to fields in DT_FACILITY. •The drop-down options for city, county, and country within the form are based on all database entries within those fields in DT_FACILITY. Further information on Facility Administration is available here.